Get your license, make more money. All you have to have is 4 years of experience. If you have that, talk to us. And we’ll help you through the rest. Our business was founded by a man who is a licensed C-6 Finish Carpenter. As such, this license is closer to our hearts than all the others. Finish Carpentry is such a specialty trade, in the best of ways. Finish carpenters, unlike many of the other tradesmen, get to create beautiful things. Our business-owners cabinetry business focused on three things: refinishes, refaces, or rebuilds. Of course, he often branched out to crown moulding, stairway railing, and other types of trimming and hardwood floors. We’re glad you’re looking into getting this license. There’s nothing much better than a beautiful kitchen or bathroom; or the beautiful accents that crown molding lends to a home. 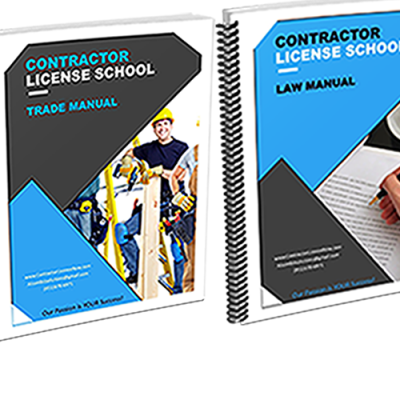 We want to help you get the license; and, more than that, we want to make it as easy as possible. It can seem daunting, but we’ll break it down for you. The only requirement is four years of experience in the trade. 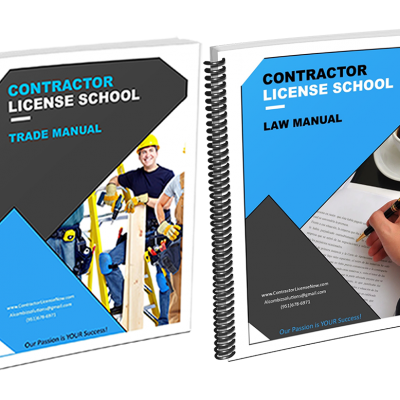 If you’ve been doing finish carpentry for four years (anytime during the last ten years) whether you were working for a company or even doing the work on your own, you’re qualified to get the license. If you have a bachelors degree, you’re only required to have two years of experience. If you have an AA, you’re only required three years. The next step is to take and pass two tests with the state of California. 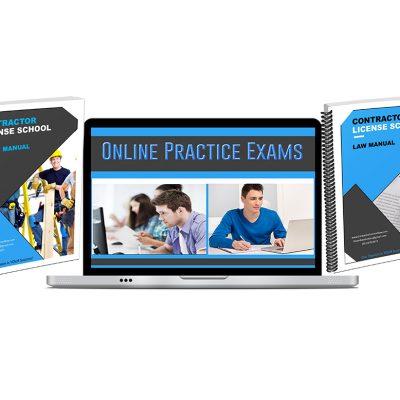 A law test–which covers construction and business law. As well as a trade test–which will test your knowledge of the C-6 trade. 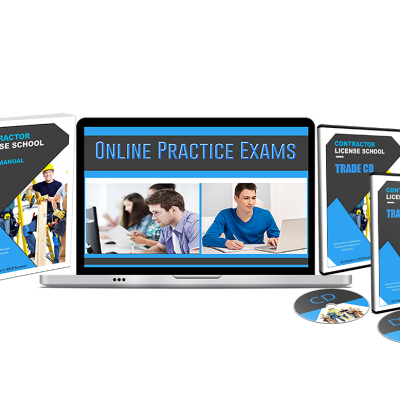 Now, if you have the necessary four years experience, the trade test will come pretty easily to you. The law test is usually the one that trips up contractors. The trade test was assembled by contractors (people who speak and think like you). Whereas the law test was assembled by lawyers (lawyers think a little differently and use different terminology). Not to worry. The entire point of our existence is preparing you for BOTH tests. Before I break down exactly how our program works, first let’s make sure you’re on the right page and this is the license for you. Below is the exact definition of what a C-6 licensed contractor does according to the state of California. For you, we have several options. You can enroll in one of our schools. We have six locations in the southern California area. If you aren’t near one of our locations, or if you’re not interested in the weekly commute, we have a great option. Online school is our most popular form of schooling. It’s been gaining popularity in recent years as many realize that it’s much nicer to study from home rather than driving ALL THE WAY out to a classroom. It saves time and you get all the same material. Our final option is individual products. Maybe you don’t want to pay for the full-scale online experience. You’re already knowledgable on the law and don’t need the full program. You can browse our products for reduced prices of different packages of material. We’ll ship the materials to your home. If you have the experience, you must take the two tests. Then you’ll receive your license. How Does The State Know You Have The Experience? In order to take the tests, you must submit an application to the state. On the application, you must have someone sign off on it saying that they know you have the experience. This person doesn’t have to be a licensed contractor; it can simply be someone you’ve worked with. If you enroll in our program, you’ll receive more information regarding this step of the process. Or you can simply give us a call and ask any questions you have. We’re happy to assist anyone and answer any question. After you pass the tests you are required to purchase a bond in the amount of $15,000 — which is very inexpensive. About $100 a year. You also have to get fingerprinted (background checked) which costs about $70 from a notary. Then, you’ll be a licensed contractor. It all starts with enrolling in a school to get the instruction necessary to be able to pass the tests. We hope you choose us, because we have the lowest prices, to easiest-to-understand material, we’ve been around for quite some time now; we have great reviews, and our passion is your success. You can enroll through our website. You can call us with any questions. You can even set a meeting with us if you’d like and you live near one of our six locations. Best of luck pursuing your finish carpentry license. It’s a great one. You get to make beautiful things and make great money at the same time. Who can complain about that?